The flight and drive from Orange County takes half the time it takes to drive to Mammoth. 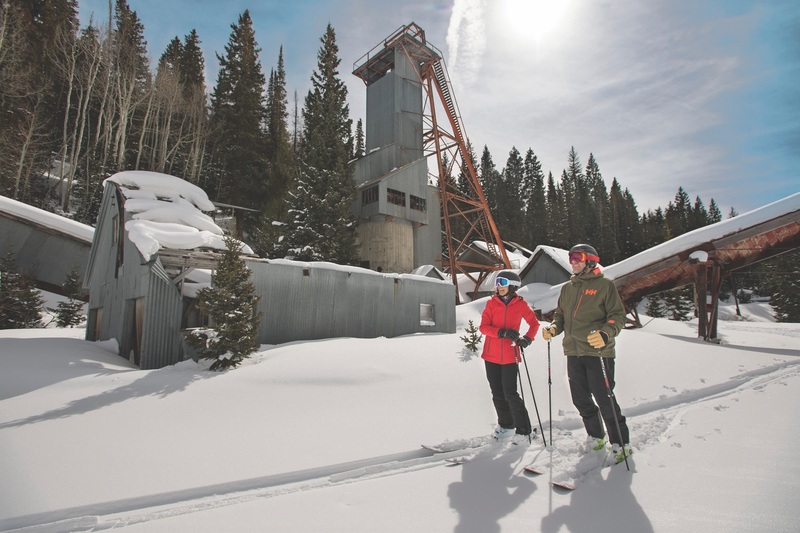 The Silver to Slopes Historic Mining Tour is offered daily at Park City Mountain Resort. sea level? Paradise … or Park City, Utah. The flight and drive from Orange County takes half the time it takes to drive to Mammoth. Whether you seek downhill adventure, a spa getaway, or a glimpse of local history, the home of the Sundance Film Festival offers glamour all year. Deer Valley is credited with making skiing a more luxurious experience—from ambassadors who take the skis off your roof rack to meticulously groomed runs. For the VIP treatment, sign up for the Ski with a Champion program and explore the trails with a former Olympian ($1,200 for a half day). Leave the snowboards at home, as they are not allowed at Deer Valley. the U.S. Take the Silver to Slopes Historic Mining Tour, where an expert guide showcases the mining buildings and glimpses of what brought wealth to Park City a century ago. The tour is free, offered daily, and geared toward intermediate skiers. It might seem unnecessary to leave Montage Deer Valley ($276 and up), with its own bowling alley and the largest spa in Utah, but the ski-in, ski-out access makes coming and going easy. Families will delight in nightly s’mores by the fire pit, horse-drawn sleigh rides, family yoga, and concierges to help kids with their ski boots. The days of Utah liquor laws forbidding alcohol sales in restaurants and bars are long gone. The High West Distillery features locally distilled whiskies available in a flight ($14) or in cocktails such as Hang On Sally with bourbon, pineapple rum, pear brandy, lemon, and sour beer ($14). Enjoy the drinks while you cool your heels at the bar and submit to the inevitable wait for your table; it’s worth it. The Washington School House Hotel is in a historic building that was renovated in 2011. The Washington School House Hotel, a historic landmark, started as one of three original schools in Park City in 1889. The building has survived fire and had many uses, including as a bed and breakfast. 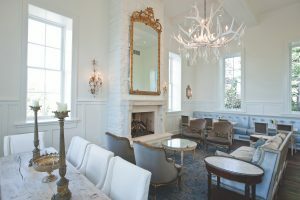 The latest iteration, renovated and reopened in 2011, features 12 unique rooms and suites ($405 and up) and is just a block from historic Main Street. A terraced pool hides in the hillside, and European antiques and custom pieces coexist throughout the property. For something memorable, 350 Main restaurant offers a chance to make your own gin under the eye of the professionals from Alpine Distilling. Create a personalized bottle of gin by flavoring neutral spirits with a combination of botanicals and spices. Visit the dining room to try the Utah red trout with salsa verde and Cajun ham ($35). Take a sleigh ride to a yurt high above the city for The Viking Yurt dinner. The Viking Yurt experience begins with a sleigh ride up the slopes at the Park City Mountain Resort. In a nod to the 21st century, a snow cat tows the sleigh. After climbing 1,800 feet above town, you’ll enter the yurt to sounds of a grand piano. You’re greeted with mulled cider followed by a six-course Norwegian-inspired dinner for a four-hour celebration. Reserve early, as only 40 guests per evening can be accommodated, December through March ($140 and up). 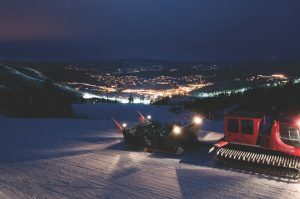 Park City was a major venue for the 2002 Winter Olympics. Now open to the public, the Utah Olympic Park boasts an outstanding museum as well as the chance to watch aspiring Olympians train on the bobsled run and ski jumps. Visitors can ride down the bobsled run with a professional ($150 in winter, $75 in summer). It’s a one-minute ride you won’t forget.